Pour the Old El Paso™ enchilada sauce over the chicken drumsticks. Allow to marinate overnight, if desired. Cook drumsticks on the a grill heated to medium heat until cooked through. Heat packets of Old El Paso™ Mexican Rice according to package directions. Once hot, stir in the corn and transfer to a large platter. 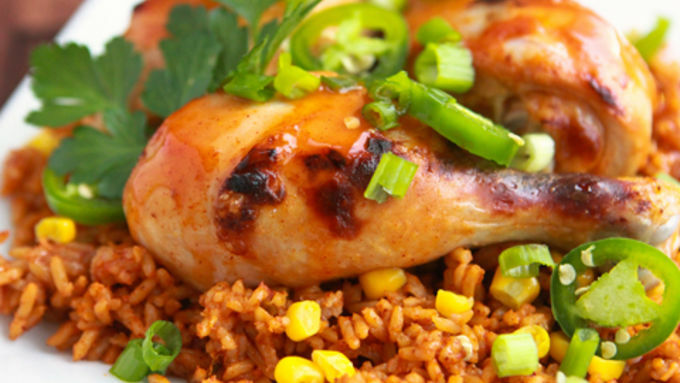 Serve cooked drumsticks over rice, sprinkled with chopped scallions and sliced jalapeños. Garnish with parsley or cilantro, if desired. Move over, BBQ sauce! Enchilada sauce is the star in this splendid recipe! Guys! Quick! 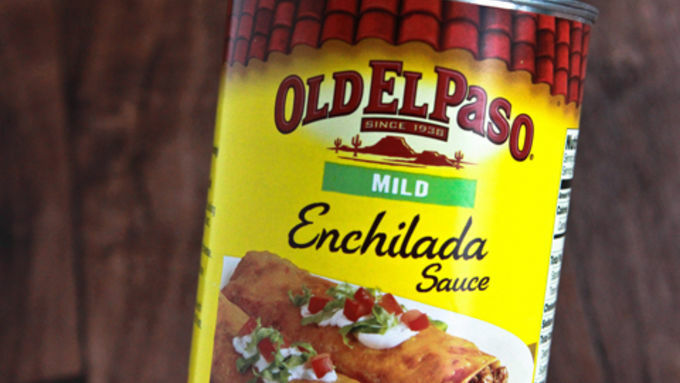 Toss that barbecue sauce and grab yourself a can of Old El Paso Enchilada Sauce instead! Because, holy Mexicoli, this Winner Chicken Dinner recipe is gooooood! 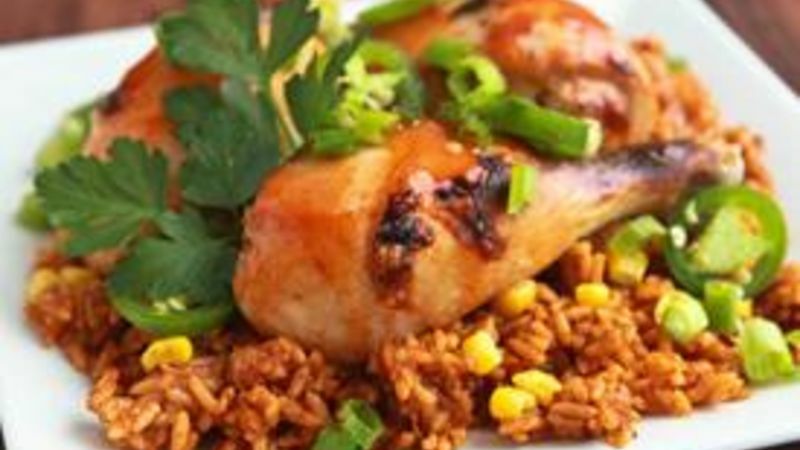 Just pour the enchilada sauce all over a bunch of drumsticks. For reals. It's that easy! Grab a bag of Old El Paso Mexican Rice, toss it with corn and spicy jalapenos and you've got yourself a meal that is as good as a flamenco dancer in full regalia. Serve it up. Dig on in. You're a winner, chicken dinner!